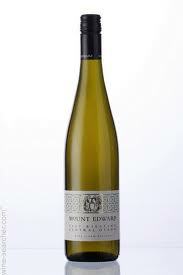 I’m standing in Paul and Ruth Pretty’s kitchen sipping on a glass of Mount Edward Riesling 2013, whilst Ruth is cooking— in case you haven’t heard, Ruth just cooked for William and Kate on their recent Royal Tour of New Zealand—so we are feeling rightly regal in her presence. She’s just taken the leg of Murrellen free-range pork from Canterbury (South Island, New Zealand) out of the oven that looks roasted to perfection—and I’m salivating at the thought of the crackling and washing it down with this wonderfully vivacious, mouth-watering riesling. I have to say, this pork was absolutely brilliant, and much darker than your average bleached-white commercial pork meat and wonderfully juicy and full of flavour. Actually, it was revelation for me to discover New Zealand has free-range pigs of this pedigree that get to market, indeed most encouraging. Having been brought up on wild pig—we would go shooting several times a month up in the Kaimai and Mamaku Ranges were pigs were in plague proportions—I don’t get enthusiastic about pork unless it’s a free-range Berkshire or Kurobuta, and whenever I’m in Europe and eat as much wild boar as I can, but nothing beats the Black Iberian Pig in Spain. In New Zealand it is difficult to find wild game served it in restaurants or at butchers, largely due to prohibitive slaughtering regulations and costs, which is ludicrous when you consider that animals such as deer and pig were introduced and essentially pests that destroy the native bush. Even more perplexing, the deer and pig get to such plague proportions that the Government have to run culling programs to keep on top of their prolific numbers. Time to change to the European standard—where wild game is fair game—in artisan butchers and restaurants. Sorry, I have digressed there…back to Ruth’s roast leg of Murrellen pork, which we actually ended up pairing with both the riesling and followed on with a Mount Edward Muirkirk Pinot Noir 2011, which went brilliantly with its heady rich, smoky and dried herb nuances. There was a lot of meat leftover, which would be excellent for a pork salad with Asian herbs and leaves, a dish that we served up regularly in Singapore and a wonderfully tantalizing match with off-dry riesling’s like the Mount Edwards. You don’t have to roast a whole leg of pork for this and hope for leftovers; just head down to your local Chinese restaurant and procure some roast pork belly. For maximum textural effect and taste, your crackling needs to be warm, to which I would advise chopping it in to smalls cubes and giving it a quick toss in a very hot pan or wok just before adding it to the salad and serve immediately. For the salad, you can use a variety of mints, the more the better to enhance the flavour sensation—garden mint, Vietnamese mint tía tô, Japanese Green shiso perilla, Laksa Leaf etc—add some mixed Asian leaves (usually readily available in supermarkets in packs and will be largely Mizuna, Tatsoi—if not available use Mesclun) to bulk it up. You will need plenty of fresh limes, enough to squeeze about half a cup of juice, and some Gula Melaka Syrup (Dark Palm Sugar) which you simply chop roughly and melt in a saucepan adding water equal to half the amount of sugar, i.e. 150ml to 300g sugar, along with 10g of dried mandarin peel. Keep this in the fridge at all times during summer, it’s great for impromptu salads. Once you have all your mints and salad leaves washed, dried and ready to go, using your wok and splash of olive oil, add a dessert spoon of Malaysian Sambal or Nonya Curry Paste, then add lime juice and drizzle in the Gula Melaka Syrup, try for taste as you go—you’re aiming for a invigorating balance of sweet and sour—throw in all your salad and toss, taste test again, adding more lime if not enough oomph. Now add your pork meat (roughly shredded or chopped) and the very last step, your heated up crackling and serve immediately, with a sufficiently chilled glass of Mount Edwards Riesling and let your palate be energized by all the sweet-sour, mint and lime zesty flavours. If you have a group of people coming around and there’s invariably that period of standing around talking with a glass in hand, you can use this same salad but just wrap it in Vietnamese rice paper to make rolls. For variations on the theme, you can add segments of white, pink or red grapefruit, or mandarin, or pomelo, depending on what’s seasonal/available.